The typical gap year is generally taken post A-levels, post university or as a career break. For actress and human rights supporter, Emma Thompson, her idea of taking a career break gap year fits exactly into the mould. However, plans to whisk her 10 year old, Gaia, away from her schooling for a year to take her gap year with her steers so dramatically from the norm, that questions have been raised about the prudence of this decision. Gap years are typically taken to encounter new experiences, new cultures and new ways of living, often wildly different from our own. They are to allow you to see different parts of the world through new eyes. But is this wise for a 10 year old? Will she be able to appreciate where she is and what she is seeing? Or will visions of impoverished townships lead to too much awareness of the world that a 10 year old should be protected from? And what of the gap in her schooling? One of the major issues about Gaia taking a gap year is her education- how wise is it to extricate a young girl from schooling at a time when she is about to change schools, and may well need the support of her friends to tackle this change. Remembering my first day at secondary school, I needed all the support I could get, surrounded by children far older, bigger and scarier than myself. For Gaia to take a year out, she will be behind her friends, and have to experience this alone. Boasting travel and knowledge that most children are not privy to, Gaia could well become estranged from her peers- jealousy is a definite friendship killer at that age. In this vein, concerns have been voiced by authorities about the continued education throughout the gap year, either through home schooling or through having a tutor travelling alongside. To have the basics already at the age of 10 is great, but having a year break in education can massively boost your knowledge in some areas, but dramatically impede learning of the national curriculum, hence potentially placing Gaia at an academic disadvantage. There seems to be a time and a place for a person to take a gap year, and is it really appropriate at the age of 10, at an important time in one’s education? Another danger of taking such an early gap year, especially going to a country such as Africa, is if the child is actually ready for such an experience? Is it not robbing a child of their childhood? At the age of 10 I was playing football in the park, building tree houses, playing endless games of tag and splashing in the cold sea on the Cornish coast of a summer holiday. 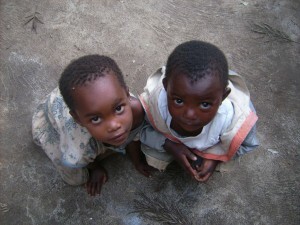 Should such innocence really be destroyed with visions of poverty? True, this innocence will be shattered at some point, but usually in chunks that a child can deal with, rather than months of travelling around the world whilst friends at home are still playing with Barbie dolls and computer games. Emma Thompson’s husband and actor, Greg Wise, said ‘It is good for Gaia to get some experience of not having everything we have.’ Granted. It is important for children to have a wide outlook on life, to appreciate that not everyone is as lucky as they are, and that sometimes life can be very unfair. Taking a gap year is an important time to open one’s eyes, to enable maturing and to fully understand the world. It is a lot easier for a child to relate to children of their own age, understanding their similarities and differences without prejudice and with compassion. All in all, in light of the gap in education the arguments do tend to lean in favour of the typical gap year, post school, college or university, or indeed as a career break. However, the question that does beg itself is that what is wrong with a gap year experience during the six week summer holidays? You would have the time to open your children’s eyes to the reality of the world without the risk of over-exposing them and also without inhibiting their education. Children can become more rounded and aware of their surroundings, in a vein combining holiday and valuable experience without the danger of overload. Despite the question mark that hovers over the continuation of her education whilst on her mother’s gap year, the idea of exposing a child to issues that are important to their parents and to society in general, cannot be considered an entirely bad idea. It is never too early to have a positive life changing experience, and if this gap year for Gaia will lead her in important directions where she might want to work to change things for the better in poorer countries, then how can you possibly argue against it? Check out the Sunday Telegraph for their article on Sunday 21 November. I wanted my son then 8 to experience more of the world, so I took him to thailand for 3 weeks so he could see how children in other countries get by without being given everything. He loved it, and we have already booked to extend this to the whole 6 weeks of the summer holiday….he will be almost 10 and get to spend most of the time at Father Rays school for disabled and street children….so with children of his own age but of a completly different background. He will certainly come back with his eyes and mind more open and it wont take a year to do it. Great to know your feedback Warren- many thanks. It is an amazing experience for a child to see other parts of the world and to understand how other people live.